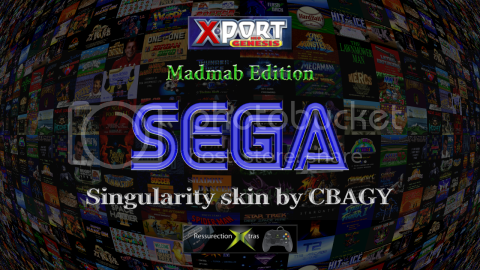 I have uploaded for those interested a new dynamic skin for NeoGenesis Madmab Edition. Due to recent events its only available through PM from Staus-X members. Available in SD (480) and HD(720p)\Widescreen too. It also takes advantage of the new artwork being provided by ResX @ xbox-scene. An new draft of the Singularity dynamic skin for NeoGenesis Madmab Edition. Up to date with Madmab's new changes. PM Staus-X members for link. I really should mod my Xbox already. Singularity skin for NeoGenesis MadMab Edition. Features intro video with scrolling background and animated Sega logo. And a folder.jpg and a default.tbn as icons for your dashboard. and then place it in the skin folder.